Download this free GDPR essentials guide and make sure your business is ready for the changes to the law. GDPR will affect your business and it doesn’t matter if you are a small one man band or a large corporation. You need to make sure you are ready. This information will provide you with the tools you need to protect yourself from potential fines resulting from non compliance with the new regulations. 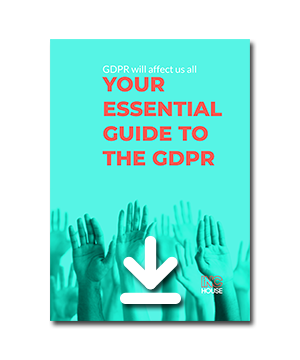 Download this free GDPR essentials guide today and start preparing your business. Contact Inc House or go to the ICO website for more information.